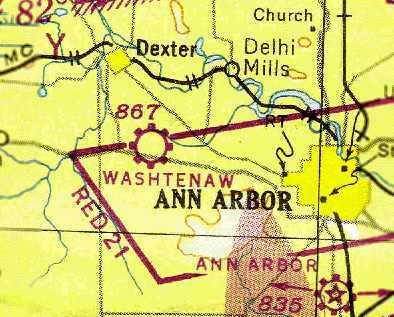 Up until sometime between 1976-1980, Ann Arbor and Washtenaw County was served by 2 general aviation airports, ARB and the little known Washtenaw Airport/Young Field. Young Field was located off from Jackson Road about 2 miles west of Zeeb Road (at the northwest corner of Jackson Road & North Staebler Road) in Scio Township. Click on the link below to view this slice of Ann Arbor’s rich aviation history gone-by. Also, below you may read a reprint of Young Field’s history as recounted by several users and their family members posted at Abandoned & Little-Known Airfields: Southeastern Michigan, by Paul Freeman. Excerpts reprinted from Abandoned & Little-Known Airfields: Southeastern Michigan © 2002, © 2008 by Paul Freeman. Revised 5/28/08.Contributors to this article courtesy of: Tina Dowis, Donald Felton, Chris Kennedy, Dave Lyjak, Doug Ranz, Greg Steinmayer, Robert Young Jr. 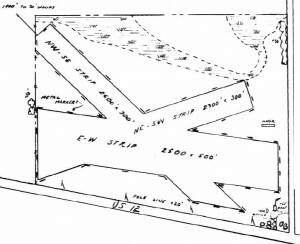 This little general aviation field was evidently established at some point in 1946, as it was not yet depicted at all on the July 1946 Detroit Sectional Chart. The earliest depiction of Washtenaw Airport which has been located was in the 1946 MI Airport Directory. It depicted the field as having 3 unpaved runways (with the longest being the 2,600′ northwest/southeast strip), and having a single hangar on the east side. The December 1947 Detroit Sectional Chart depicted Washtenaw as a commercial/municipal airport. 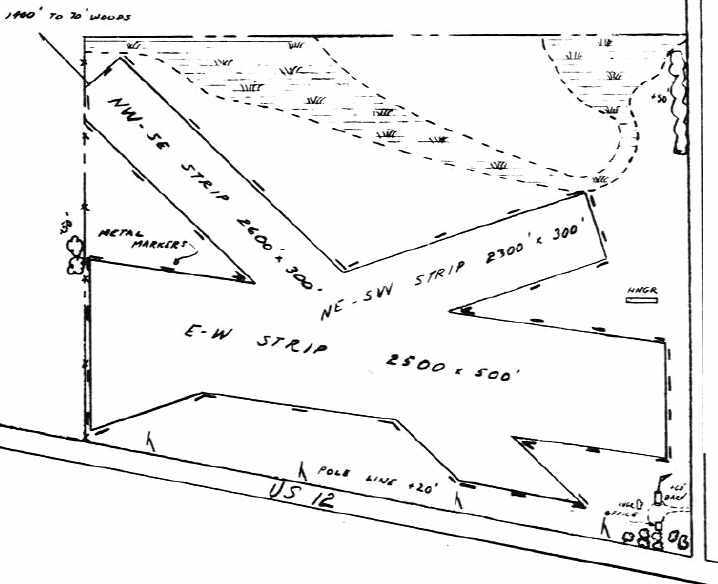 The 1949 Detroit Sectional Chart depicted Washtenaw as having a 2,600′ unpaved runway. A 1949 aerial photo of Washtenaw Airport, depicts the field had 3 unpaved runways, along with a row of T-hangars on the east side of the field. A total of 6 light single-engine aircraft were visible parked on the southeast corner of the field. 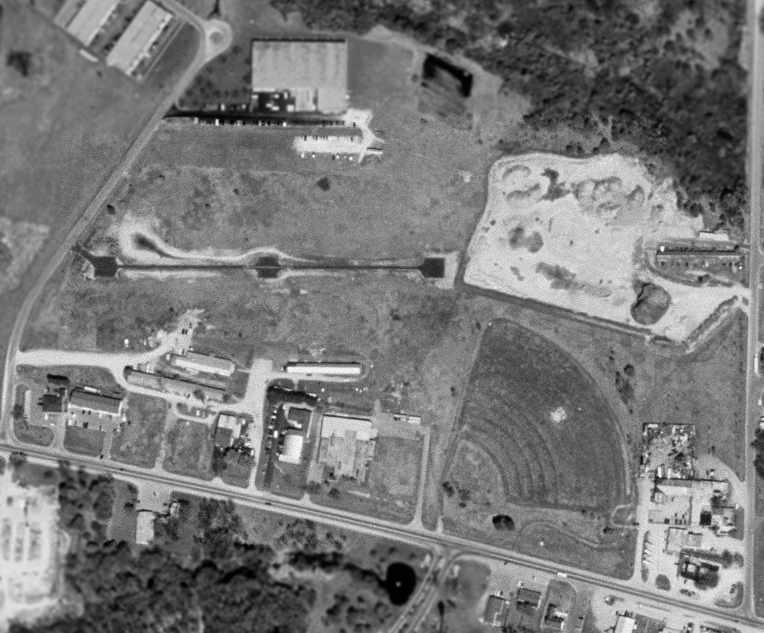 A 1955 aerial photo of Washtenaw Airport showed that the southeast corner of the field had been taken up by a drive-in movie theater,which considerably changed the airport’s configuration. The former east/west strip was gone, and the former southeast/northwest strip had been relocated somewhat farther north, to avoid the drive-in theater. The total number of aircraft visible parked on the field had decreased to only 3, all on the south side of the field. The field was still depicted as Washtenaw Airport on the May 1957 Detroit Sectional Chart. 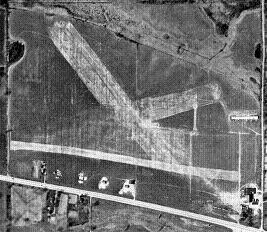 A 1961 aerial photo of Washtenaw Airport showed that an additional row of T-hangars had been added at some point between 1955-61 on the northwest side of the field. The last photo which has been located showing Washtenaw Airport in operation was a 1963 aerial view. It showed that 3 more rows of T-hangars had been added at some point between 1961-63 on the south side side of the field. The number of aircraft visible parked outdoors had also increased to 7. 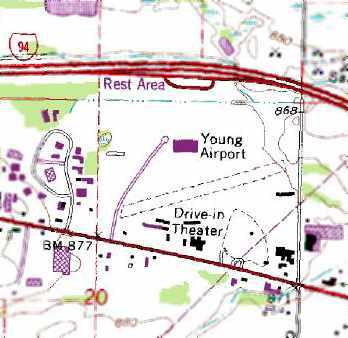 The airport was evidently renamed “Young” at some point between 1957-65, as that is how it was labeled on the July 1965 Detroit Sectional Chart. It was depicted as having a 3,000′ unpaved runway. 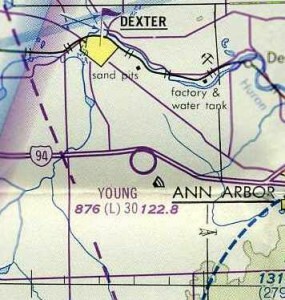 The last aeronautical chart depiction which has been located of Young Airport was on the May 1976 Detroit Terminal Aeronautical Chart. It depicted Young as having a 3,000′ unpaved runway. Dave Lyjak recalled of Young Airport, “My dad kept his airplane there for a number of years in the 1970s-80s period and I learned to fly & soloed there (also learned to drive a stick shift). Young Airport evidently was closed (for reasons unknown) at some point between 1976-80, as it was no longer listed among active airports in the 1980 AOPA Airports USA directory, nor depicted at all on the October 1983 Detroit Terminal Aeronautical Chart. Although it had evidently already been closed for at least 3 years, the 1983 USGS topo map still depicted Young Airport as having a single unpaved northeast/southwest runway, with several rows of T-hangars on the southwest & east sides. but several of the former T-hangars remained standing. According to Greg, “In the middle of the field is that weird paved area which I think MIGHT have been a runway, but it is very narrow – no more than 8′ wide, however it has some markings. The site of Young Airport is located northwest of the intersection of Jackson Road & North Staebler Road.